As a stepping stone, investing in a prebuilt system is a great way to enter the world of PC gaming. After all, not all users have the know-how and expertise to pair up compatible hardware and then engage in the task of constructing their first computer system. Prebuilt systems are also a good avenue to take for those who simply want to leave the hard work to the experts. So, today in our second outing with Fierce PC we’ll be exploring a gaming rig which is focussed in delivering good value – with a view to delivering decent hardware well under the £1000 mark. Under our watchful eye today is the Blackfire Apex which is a low-to-mid range computer system based around Skylake architecture. So, at the heart of Apex is the Intel Core i5-6500, along with 16GB DDR4 and the AMD RX 470. This PC was designed from the ground up and fully tested to give you optimal performance to play all of the latest and greatest titles, without breaking the bank. 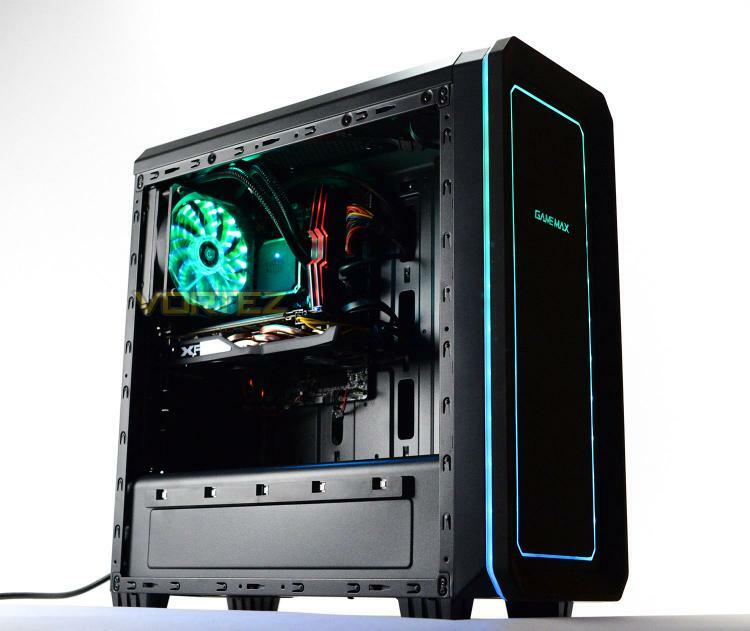 The Blackfire Apex is a fast, full-featured gaming PC with awesome RGB lighting. Powered by an Intel Core i5 6500 running with a 3.6GHz boost clock, cooled by a Cooler Master Seidon 120V v3.0 Liquid CPU Cooler. Paired with the new, powerful AMD Radeon RX 470 4GB Graphics Card and 16GB of ADATA XPG Dazzle 2400MHz Memory, and a 120GB solid state drive for near-instant boots with a huge 1TB SATA3 hard drive for all of your games, controlled by a Gigabyte H110M-S2H motherboard featuring USB3.